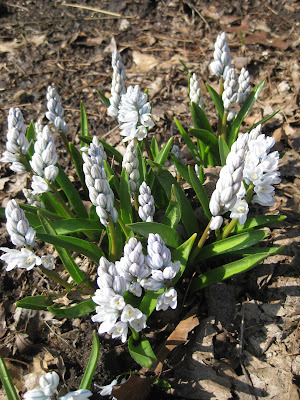 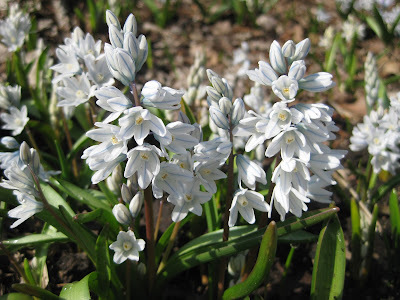 While none of these photos of the striped squill (Puschkinia scilloides var. 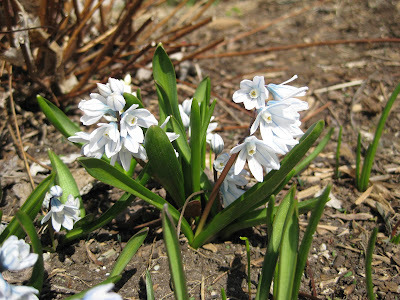 libanotica) were taken this spring, I could have taken similar photos today though as this early bloomer is quite evident right now. 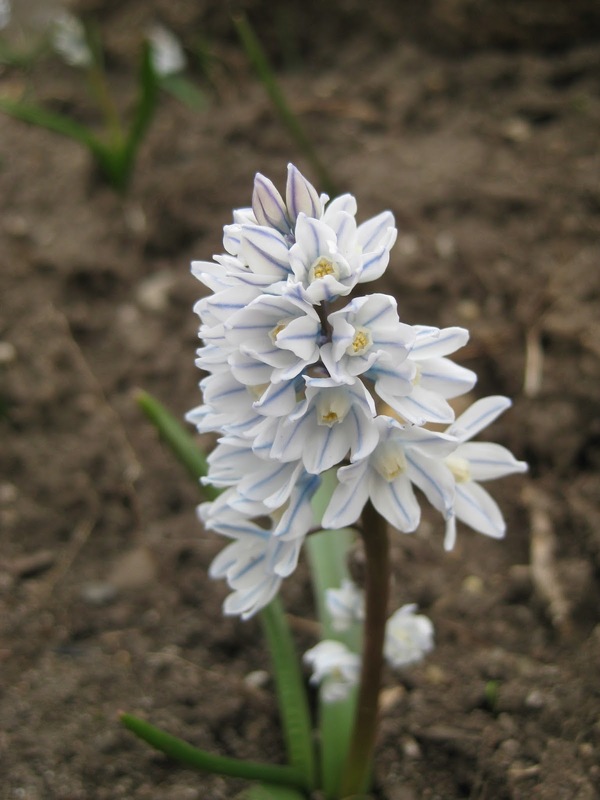 This fall planted bulb is native to the Caucasus region and prefers moist but well-drained soils in full to part sun. 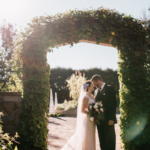 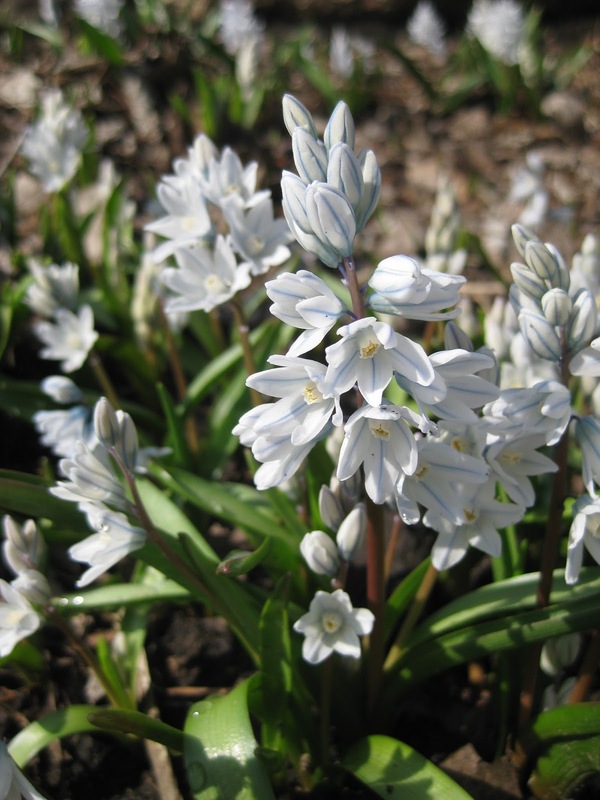 Only 5″-6″ in height, mass plantings of these can be very effective and are also strong growers under trees where they will get ample light right now before the overhead canopy fills in over the coming months. 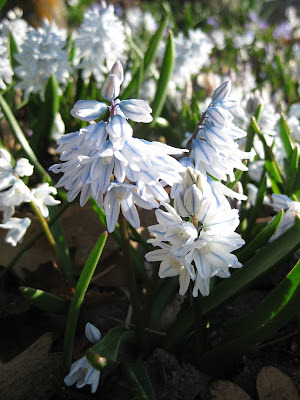 While our tulips (Tulipa) and crocuses (Crocus sp.) are being decimated by deer and rabbits, striped squill is left alone. It naturalizes well and forms colonies over time. 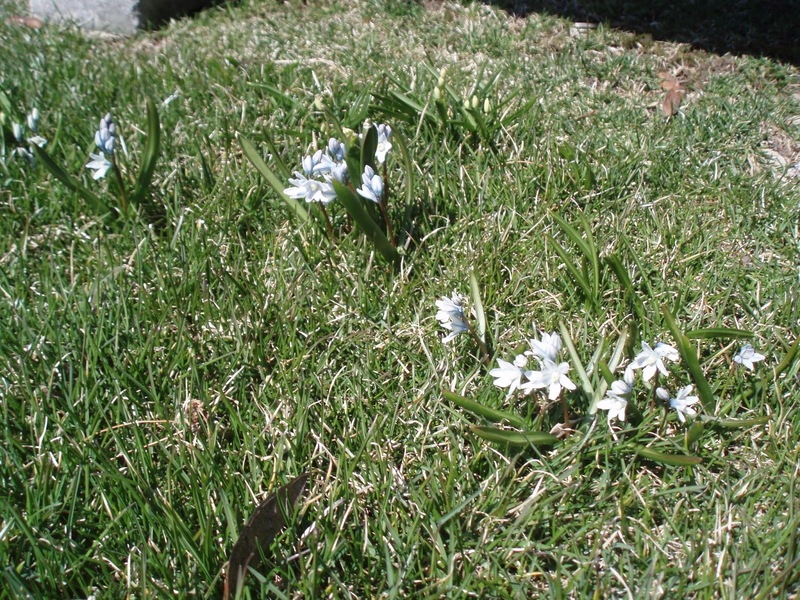 This is also a good candidate for a “bulb lawn” where striped squill comes up now through mostly dormant turf and does “its thing” before you need to do some mowing. Regardless, striped squills are tough as nails and are great for early impact. 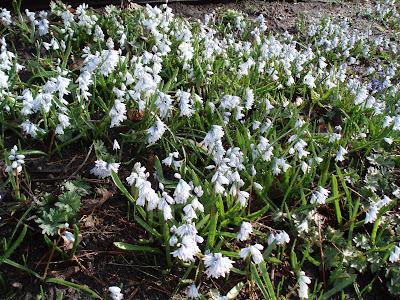 Today was fairly quiet at the gardens although we did have some visitors out there enjoying the gardens. 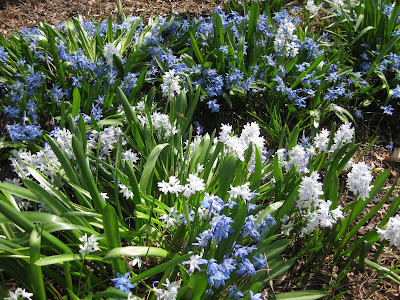 Eva was out doing some clean-up near the sunken garden while Bill O. helped with some tasks at the Horticulture Center. Maury ran some errands and we also saw Jean S., Bev D. and a couple of others. 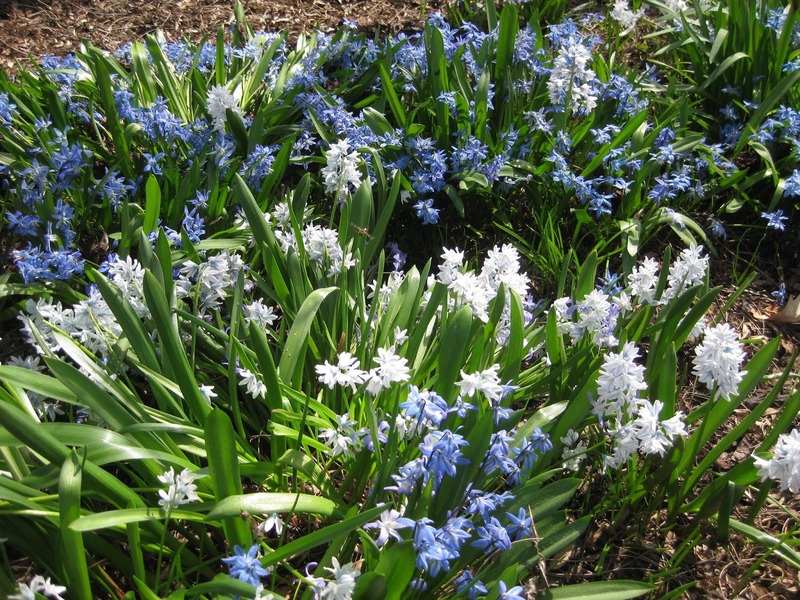 Spring preparations are my order of business right now. 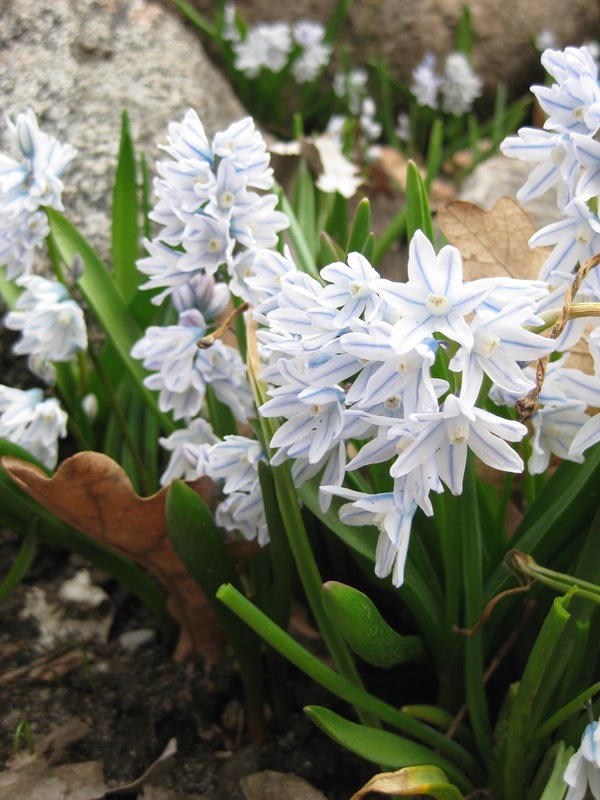 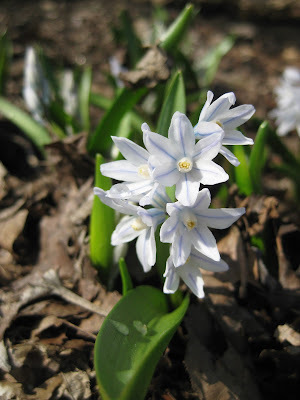 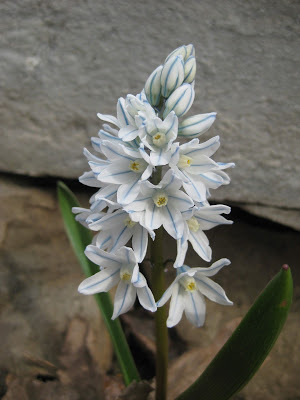 Enjoy the photos of striped squill and look closely at the flower details.